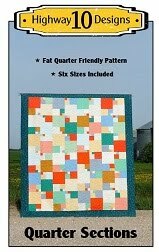 If your visiting from the Bloggers Quilt Festival welcome to Tamarack Shack! 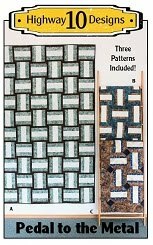 I am a longarm quilter that loves to make all types of quilts….traditional, modern, appliqué, curved, paper pieced, etc. 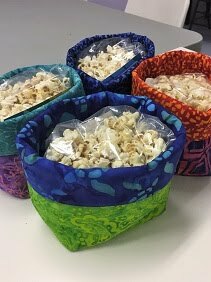 My blog is my journal of all the quilts I have worked on as well as the quilts I have finish for my clients so you never know what you’ll see next! The quilt I picked to share on the festival is one I made recently and was surprised at how much I liked it when it was done. It started as a quick weekend project so I could try a new quilting design that I learned in Angela Walter’s quilting class on Craftsy. I just loved her swirl design so took the class so I could see her quilt it out. I find I can pick up a design quicker if I can see it being quilted. So I pieced this Chevron quilt using my favourite fabrics…batiks! This is my first attempt as Angela’s swirls and I just love the texture they create. I then balanced the swirls with the straight line quilting in the bright batiks so that the swirls could shine. I enjoy dyeing fabrics as well and was lucky to have a bright green hand dyed fabric ready to use for the binding. The back of the quilt is always fun to share too! I enjoy having fun with my photography and making sure you can see the quilting when I post pictures on my blog. I had a few request to share some photography tips and if your interested you can read that post here. So a quick ‘practice’ quilt has now turned into a cute baby quilt that I will be giving for a Christmas gift to a new family member! Hope you enjoy the rest of the festival. Thanks for stopping by. 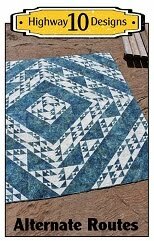 I love that your quilting never competes with the piecing, but makes the piecing and the quilting work together to make the finished quilt gorgeous. This quilt is no exception! Love this quilt!! The piecing is simple, but the quilting makes it amazing!! The swirls are amazing! Great quilt, thanks for sharing! Thanks for sharing-- this is so gorgeous! You have done it again, loss for words BEAUTIFUL!! I really enjoy all your photos, it's so nice to really see the texture of the quilting close up. I agree with you on the 'watch and learn'. I'm not so found of reading, I love learning from a video or people do things 'in real life' to show quilting. Wow, the quilting is amazing! Love the photos too. Love this - your quilting is beautiful! Love it Kathy....your quilting on this is fab...just right, my Granddaughter and I are making a similar quilt right now for a new baby boy! As usual your photography makes for great eye candy too! This is a beautiful quilt. 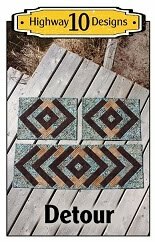 The batiks you have used are gorgeous and the quilting is stunning. le tue trapunte sono sempre speciali! Oooh, thank you for adding all the photos. The quilting really really makes this quilt pop. Some new little one (or big one!) will be so blessed to receive such an amazing quilt. This is STUNNING!!!! 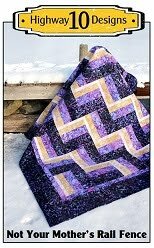 You had me at the chevrons, and then the quilting is just amazing! Thanks for sharing. Beautiful quilt, I love batiks, too! They work perfectly in this chevron pattern! Beautiful quilt with the bright batiks. Love the quilting too. What a wonderful quilt - and your quilting is superb! This quilt is beautiful. I love the fabrics, the design and the quilting! In short, all of it! What beautiful work you do! Really pretty, the quilting just takes it over the top! Perfect quilting and amazing colors! Love your choice of fabrics! really effective. Love the quilting and I'm taking the same class from Angela. I was wondering if you remember if you purchased the pattern or if it's available online somewhere? I thought this might be fun to do as well! Hey, Kathy - would it bother you if I tried this quilting motif out on my domestic in a baby quilt for my sister?